EGO 56V Lithium-ion Cordless Chainsaw - 14" Oregon Bar and Chain. 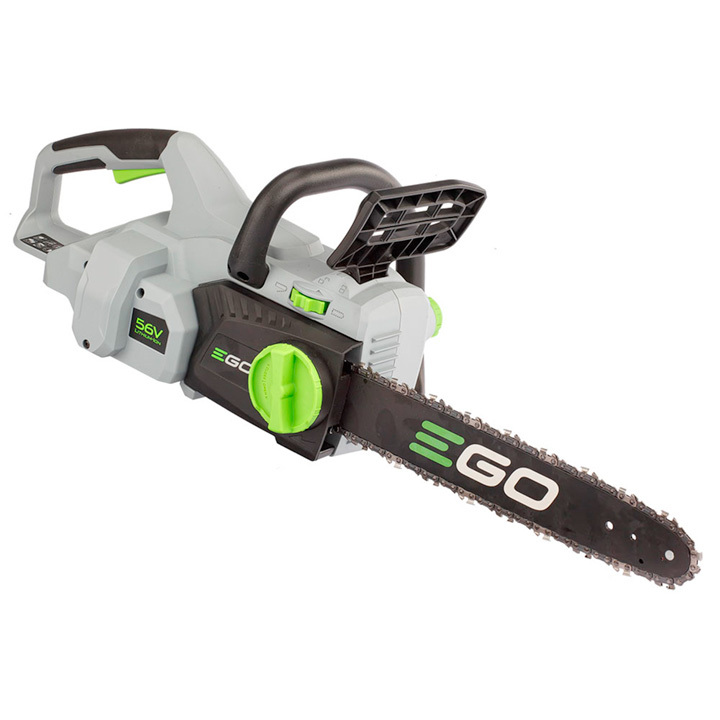 Oregon Bar & Chain - The EGO POWER+ cordless chainsaw is fitted with an Oregon bar and chain, the world's leading manufacturer and marketer of cutting chain and guide bars for chainsaws. Brushless Motor - The high-efficiency brushless motor is a lightweight compact design which delivers longer run time, low vibrations and extended motor life. Quick Chain Tensioning - Quick Chain Tensioning eliminates the need for any tools for tightening the chain. Just a quick rotation of the tensioning wheel and you'll be back in action without any down time.